Christmas is around the corner and many of us have been handed long “wish lists” from our kids or family members. Several of us probably have a tablet of some sort on that list. Is there another option other than the $499 “fruit” tablet that is a little more affordable but just as good? I say, Yes, there is! 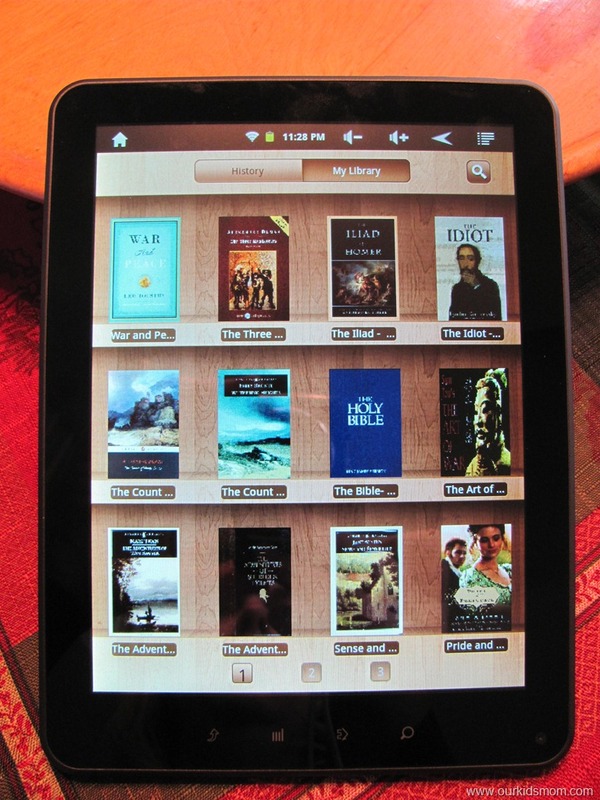 Back in September I reviewed the Nextbook Premium7 tablet. I was impressed with the ease of use matched with an affordable price. 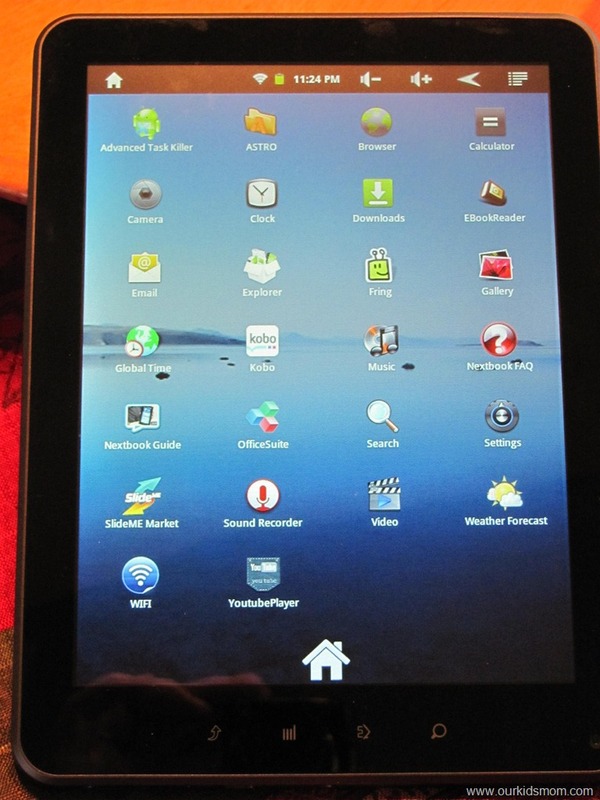 I did yearn for a little larger screen and a camera, but it was a good intro tablet for the money. 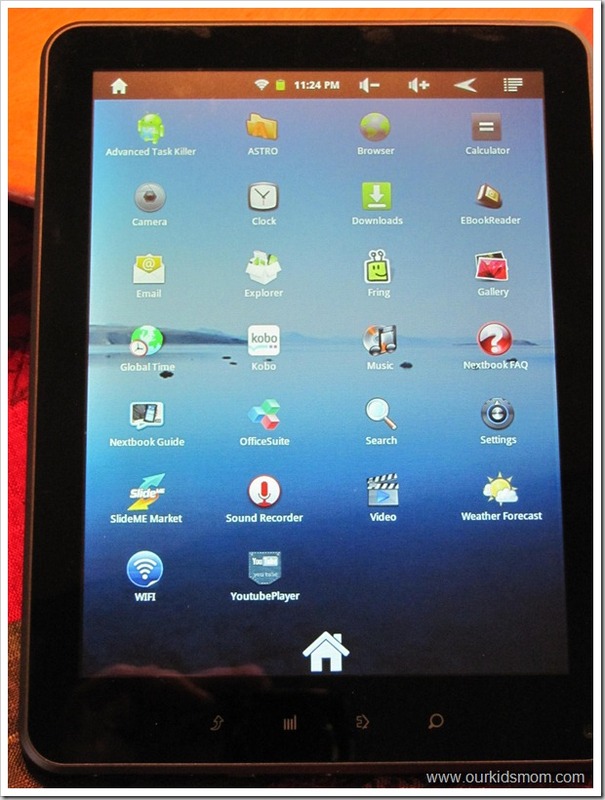 Nextbook has now released the Premium8 tablet which is billed as “bigger, brighter and better”. Inside the Nextbook Premium8 box you will find the Premium8 Multimedia tablet, an AC power adapter, a USB cable, a protective pouch, and the user’s manual. 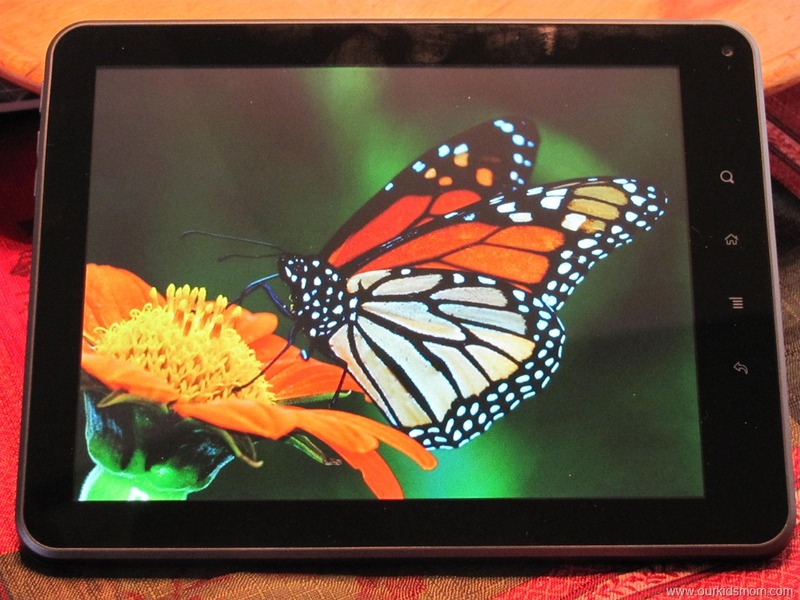 This tablet is indeed “bigger” than the Premium7. 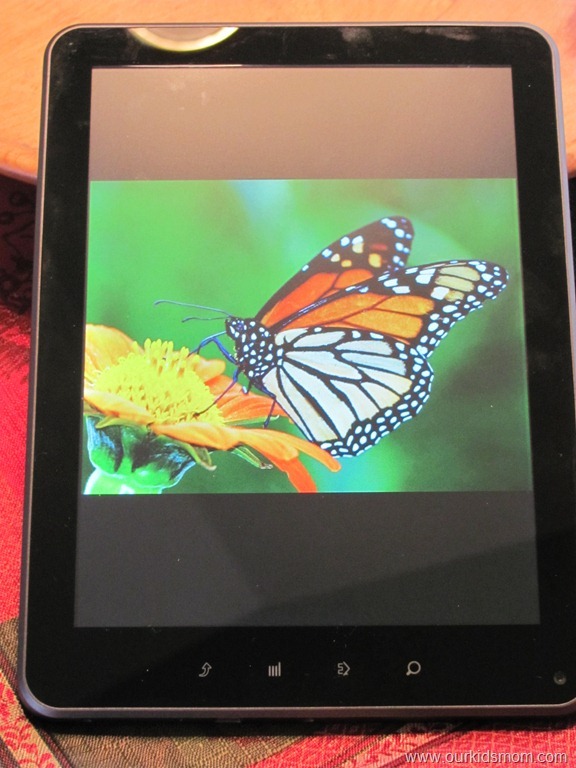 It has a nice 8” TFT Capacitive screen (to operate, all you need is just swipe your finger tips lightly… no pressure needed) and it features a 800×480 High Resolution display. But, is it “better”? There are some new upgrades in the Premium8. 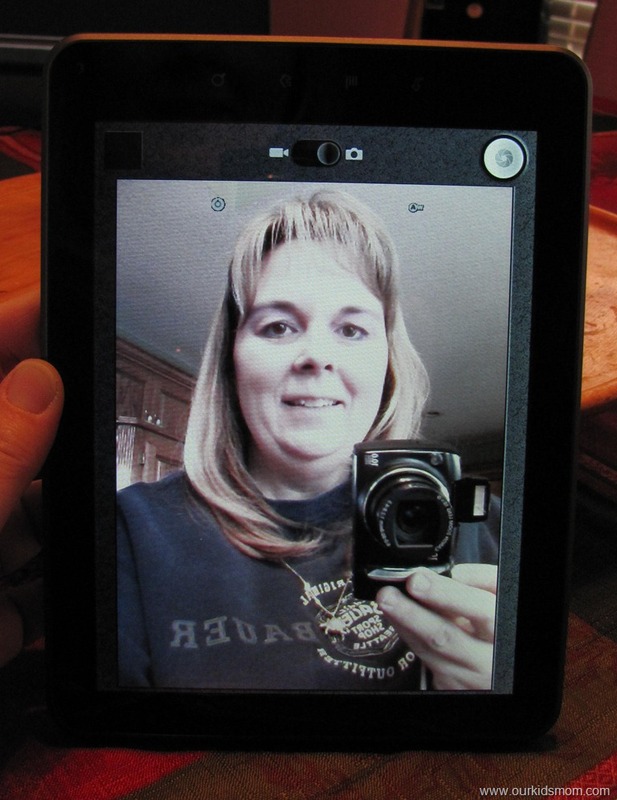 The main one that thrills most tablet users is the front facing camera. Although it is only a 2.0MP camera, it is adequate enough to capture fun “in the moment” pictures to share digitally… wherever you are! The Premium8 comes with 4 GB of memory built in. 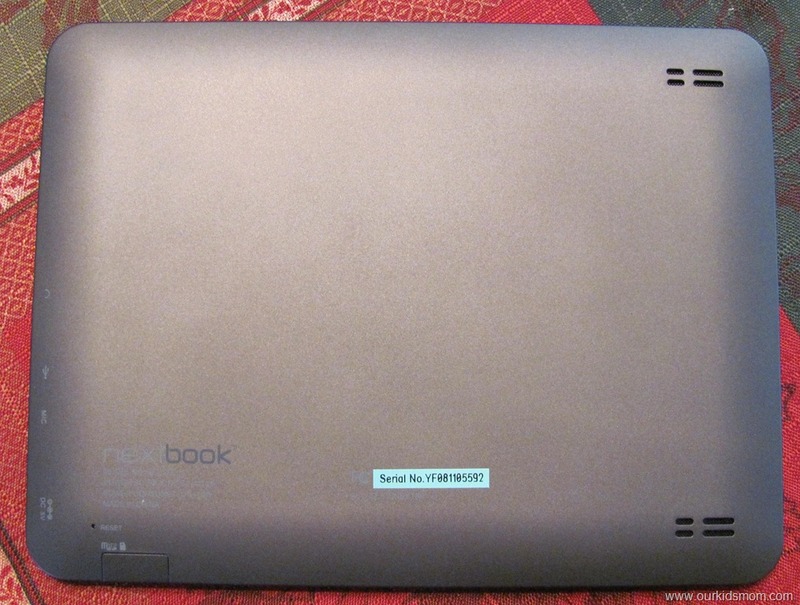 What I love about the Nextbook tablets is that they don’t limit you to their on board memory. 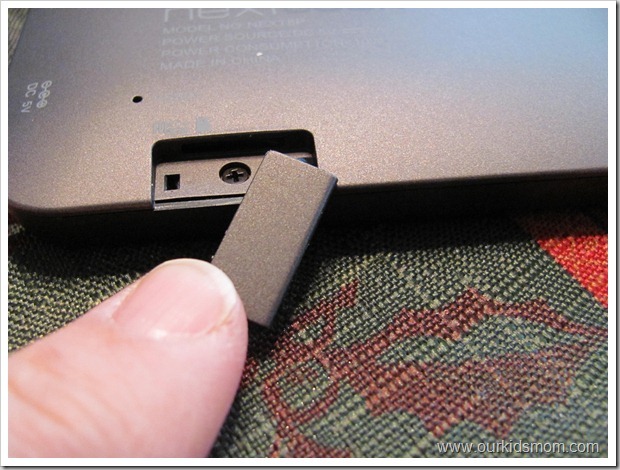 There is a covered slot that accepts a microSD/MMC card allowing you to access, use and save files and then remove the card and use them elsewhere (most tablets do not have this feature). 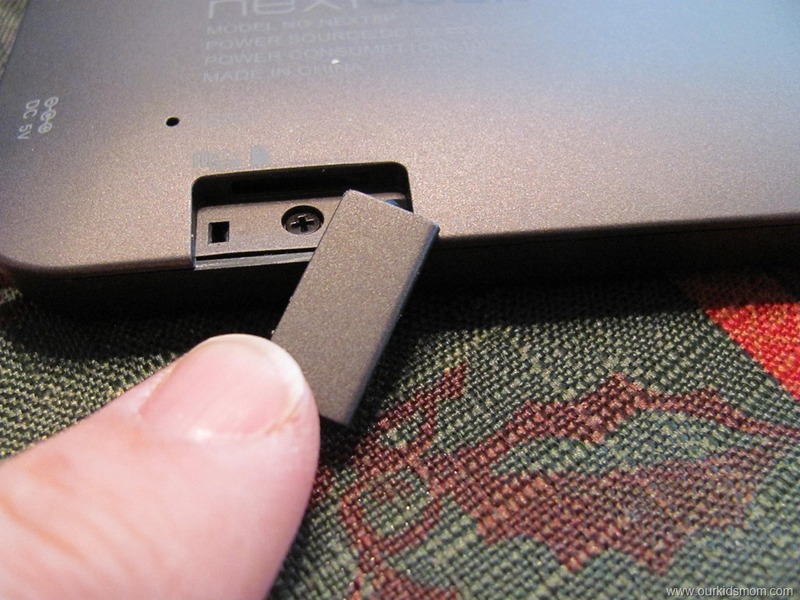 Most microSD/MMC cards come with an adapter so that you can use them as a full sized SD card as well. Pop that into your digital camera for photos or in your card reader on your computer. 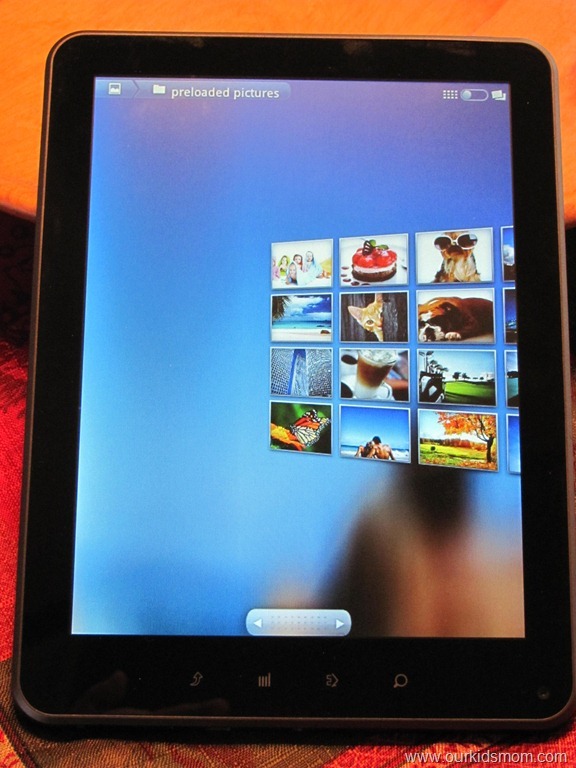 The Premium8 has kept Google’s Linux based Android OS 2.3 but has added Flash 10.1. Now you can play, listen and surf without missing a beat. 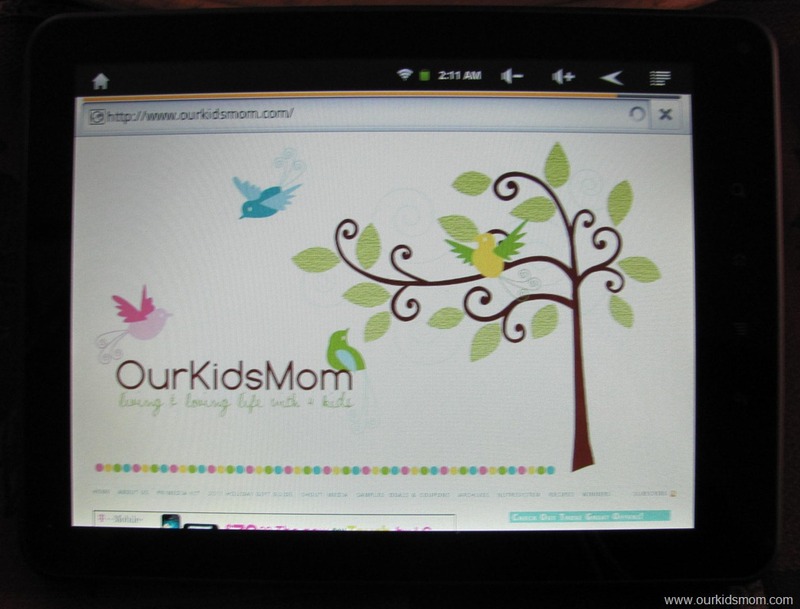 This is a huge plus over the “other guys” tablet, as theirs does not support Flash. 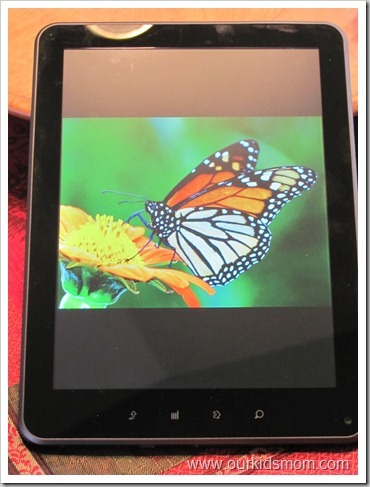 If you have an Android Smart Phone, using the Nextbook Premium8 will feel like second nature to you. After playing a bit on this tablet I felt a noticeable difference in the speed and responsiveness compared to the Premium7. 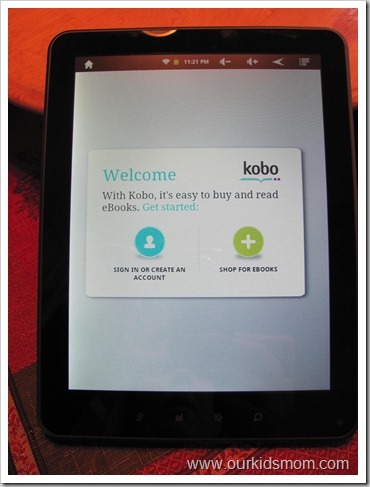 The Premium8 still features Kobo bookstore and comes preloaded with 25 free ebooks. 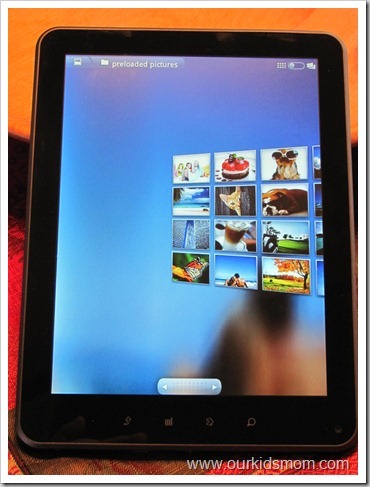 The photo viewer allows you to sort your pictures by folder and scroll through in preview mode. With a simple tap you get a full screen view. 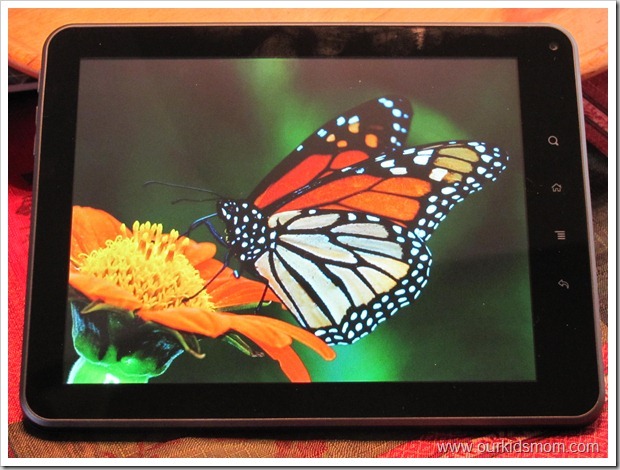 And because the Premium8 has a built in G-sensor, you can turn your tablet sideways to view the photo in full screen mode. I especially appreciate the G-sensor for when I want to type. I have fat clumbsy fingers and touch typing on a small keyboard is cumbersome and frustrating. 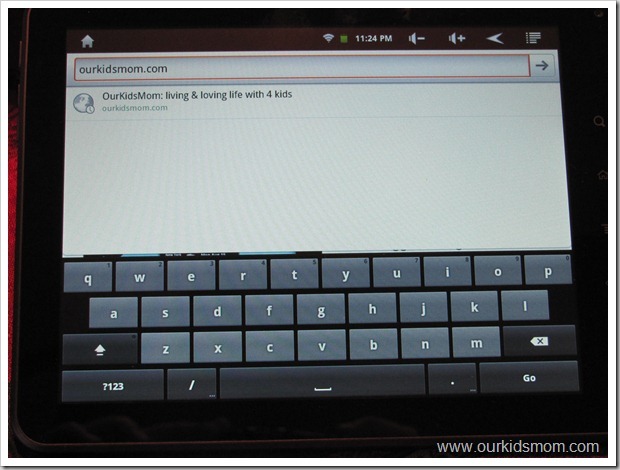 Simply tilt the tablet on it’s side and now you have a full widescreen keyboard. From the applications menu you can see everything that was preloaded on the Premium8. I especially appreciate the Advanced Task Killer. 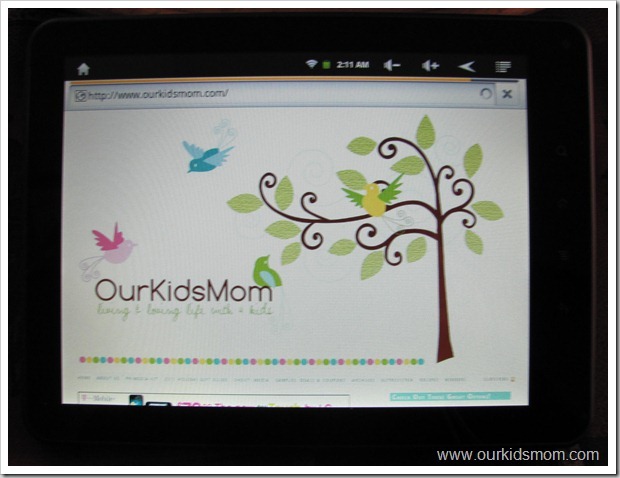 This allows you to shut down apps that you are finished with to save on battery life and speed up the tablet. 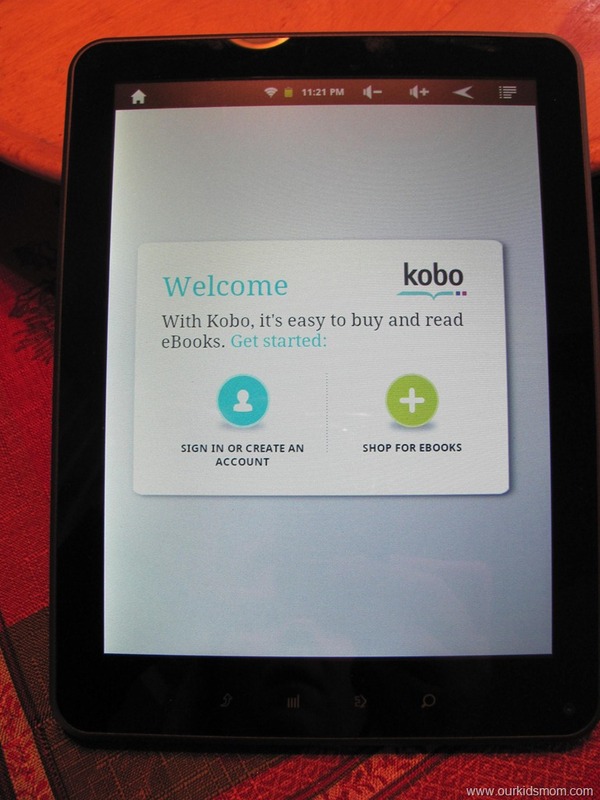 The Kobo bookstore can be found here as well as the EBookReader. Load your email from the app or touch the browser and go directly to the website (for web mail like Gmail, Yahoo, Live etc). There is a built in music player, OfficeSuite, and video player. I like to load the weather forecaster widget on my home page so I can peek and know quickly if the kids can go outside without a jacket. 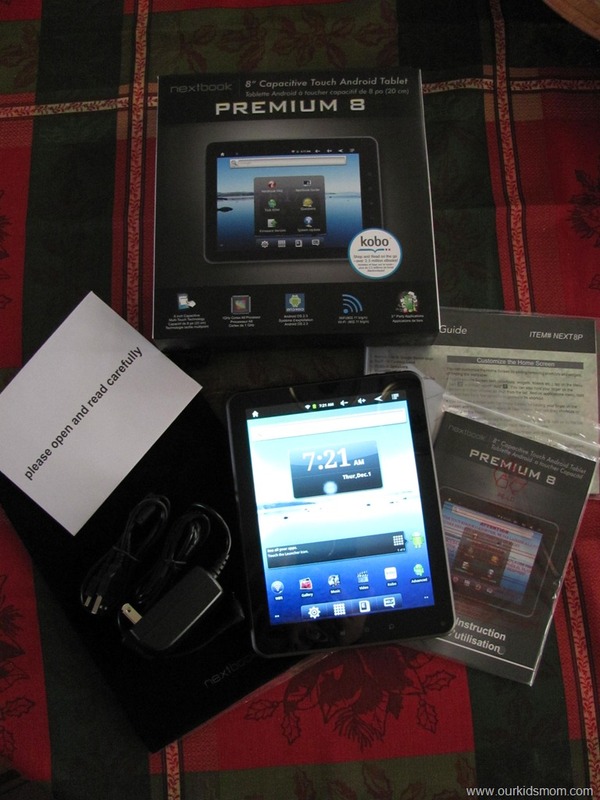 So I’ve gone over everything that is “in” the Premium8. I agree with the “better” claim. Here is why. 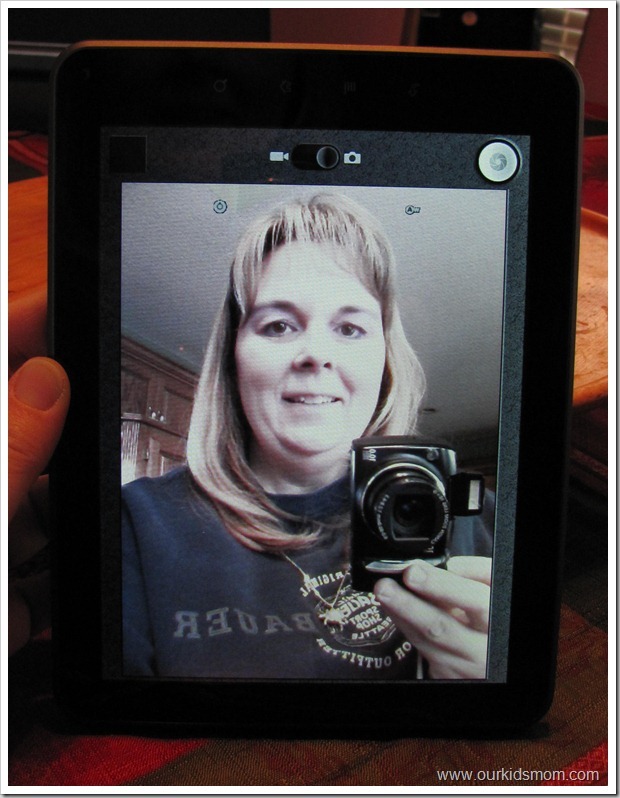 Not only have they increased the size of the screen, included Flash and added a camera… but the “feel” of the tablet is better as well. The Premium7 had a slick plastic feeling back. 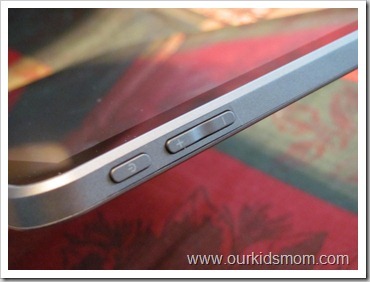 The new Premium8 has more of a matted almost rubbery feeling backing on it for a better grip and fewer fingerprints (yes, I am constantly wiping down my tablets). I am a “feel” type of person… from my glassware, silverware to my electronics, if I don’t like how something “feels” in my hands I don’t buy it. This tablet has a solid quality feel to it. 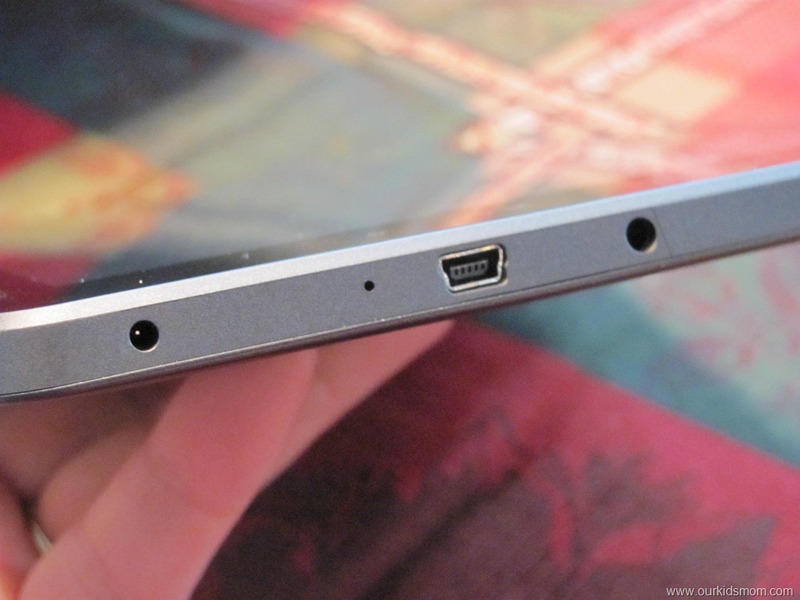 I’ve shown you the MicroSD/MMC card slot on the bottom back of the tablet, across the bottom edge is the microphone jack, AC adapter and mini USB plug slot. 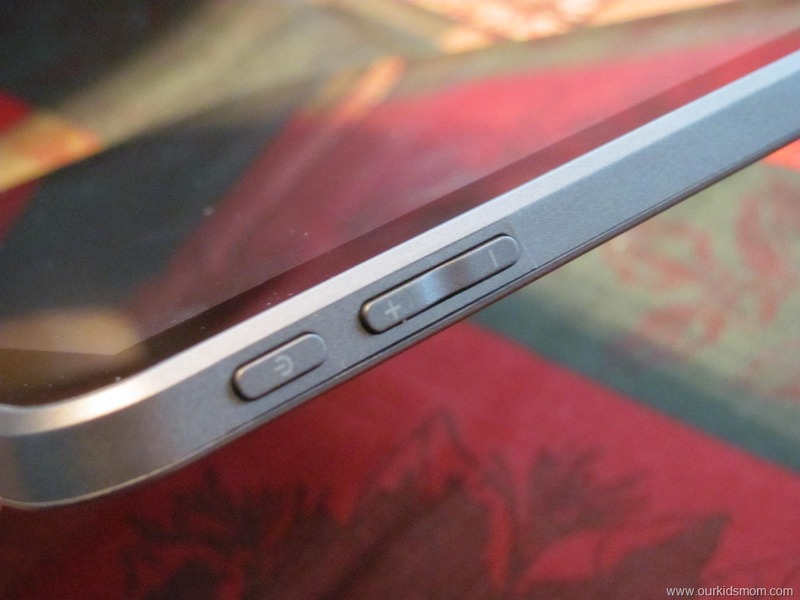 Across the top is the power button and volume button. It is a little slimmer design than the Premium7, which may be part of the reason I enjoy the “feel” of this tablet in my hands so much more. I have to agree. 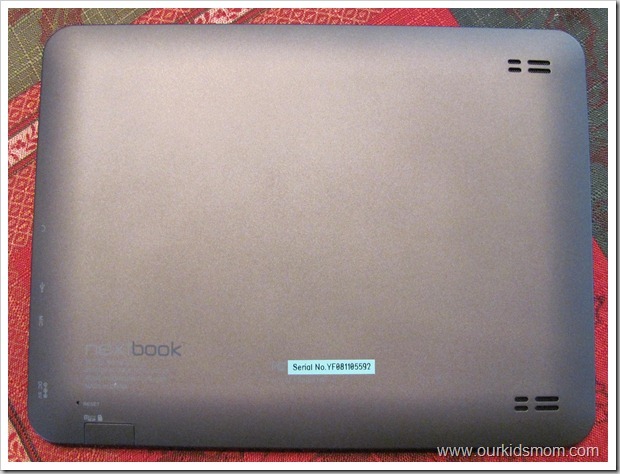 The Nextbook Premium8 is bigger (now 8”), brighter (image quality is sharp and bright), and better (it now includes Flash 10.1 and a forward facing camera)! 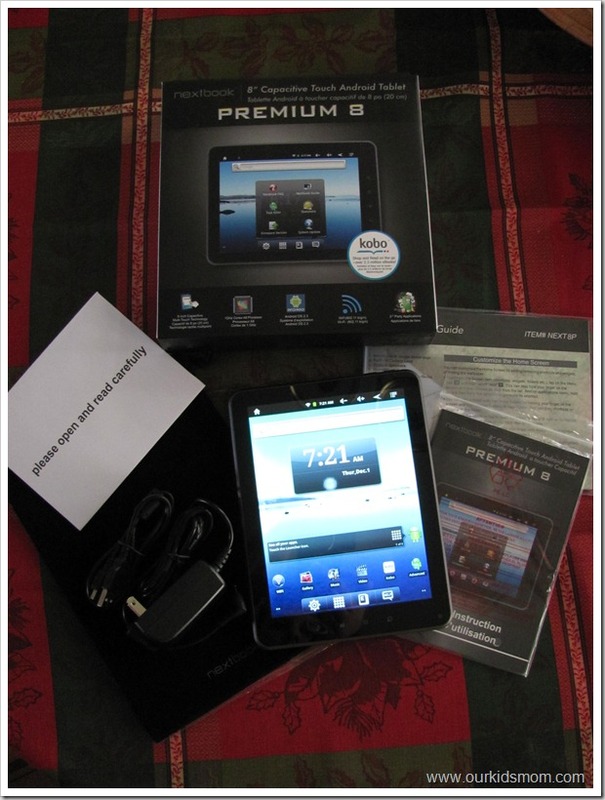 Premium8 runs on the Google Android OS 2.3 platform which gives you a broader range of available apps to download and enjoy. 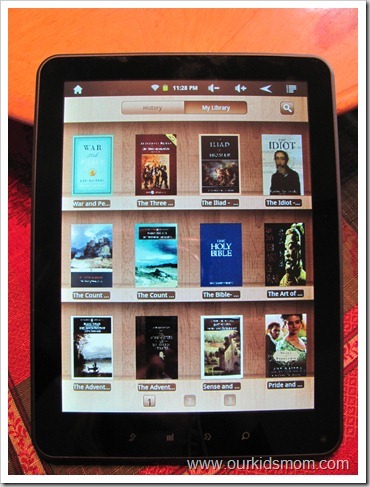 This tablet flows from one activity to the next quickly, has a photo viewer, video player, mp3 player, ebook reader, and web browser (wow! 5 products in one!). 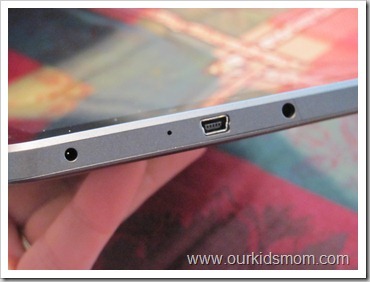 Although it only has a 4 GB onboard memory, it has a MicroSD/MMC slot to expand and save your files on. I am sold! For only $299 this is a great investment and gift for your electronics lover this holiday season. A demonstration video is available to view here. You can check here for a location to purchase one near you. Thanks Heather for such a thorough review!